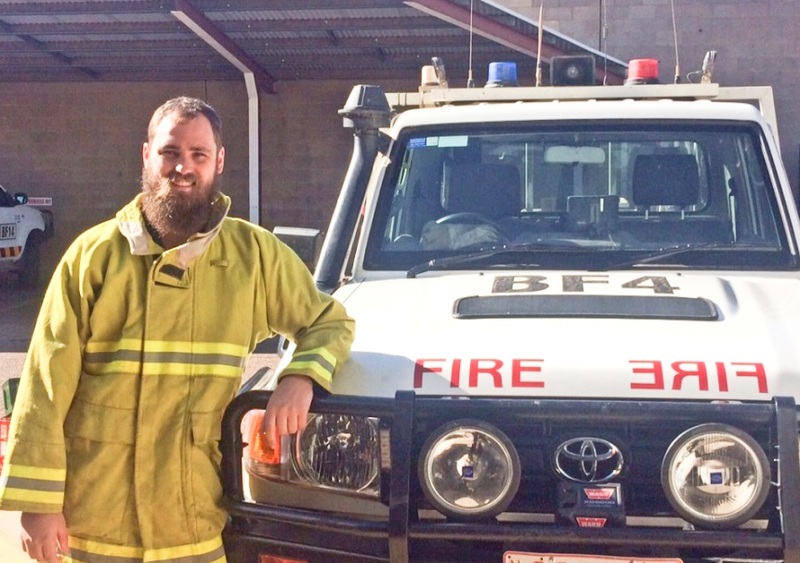 Bushfires NT’s new Senior Fire Control Officer, Joshua Fischer, loves his new town, Alice Springs. “I’ve been in the Territory for two years now, a year and a half in Darwin and now six months in Alice, and I am really enjoying the interesting and unique lifestyle. I am from Horsham in Western Victoria where my family run a broadacre farming operation, and the Territory is a real change, but the things that impress me most are the landscapes, the biodiversity and the resilience of the industries like the pastoral industry and tourism, and the entrepreneurs who run them”. Joshua also has a love for AFL, and has joined the Westies in Alice. “My family was heavily involved in our footy club back home for generations; I guess footy is in my blood. I have been away a fair bit this year, so don’t get a kick as often as I would like, and probably need some more match fitness, but I have really enjoyed playing in Alice”. Joshua and his team are gearing up for the fire season as the weather warms up. “It’s looking like a normal fire season this year. The climate outlook from the Bureau of Meteorology for the next few months indicates a neutral El Nino / La Nina, and a negative Indian Ocean dipole, meaning above average rainfall in both northern and southern regions over the spring period. A lot of rain will change the fuel load, and we will assess what this means for the fire season as it happens. Big rains over summer may mean increased risks next year. In some areas this year there are isolated spots of greater than normal grass growth, and some areas, like the Simpson, has below normal growth. It’s something we need to keep a close eye on, to assess the risks and work out where our efforts should be targeted”. For pastoralists, Joshua recommends that this is a good time of year to install and maintain firebreaks, and reduce fuel loads either by controlled burns or stocking with cattle to reduce grass. “If pastoralists need advice on how to set up their fire management systems, our experienced staff—Dorsey Debney, Lachlan Fife and Jonathan Diment—can assist you. We try to get around every station every year for a visit. Sometimes we don’t get to them all, with people away or whatever, but we are always keen to make sure we keep in close communication with the station owners, who manage fire on a huge amount of country. Stations should also have operational fire units ready to go in case of wildfire”. The Northern Territory Government, through Bushfires NT, operates a subsidy scheme to help land managers buy the equipment they need to manage fire. “We have a system where we can offset the cost for new equipment for land managers. Forms need to be filled in, of course, but our Regional Fire Control Officers can help. If people want to call us at our office in Elder Street, we can get them started. Our number is 8952 3066”.